In the 1980’s, as the major record labels were entering the digital age in earnest, there were many re-issue series featuring vintage recordings from the late MONO / early Stereo era, and London Decca’s VIVA series did just that. The initial run had about 20 titles, spanning then full gamut of the classical repertoire. In the case of the two recordings featured this week, the London/Decca catalog was promoting newer digital fare, and these very good titles would make bargain hunters like myself quite happy. The common thread sewing the two releases is the great Swiss conductor Ernest Ansermet and his Orchestre de la Suisse Romande. Ansermet, a mathematician by training, is a “thinking man’s conductor” with a penchant for the French and 20th century repertoires. 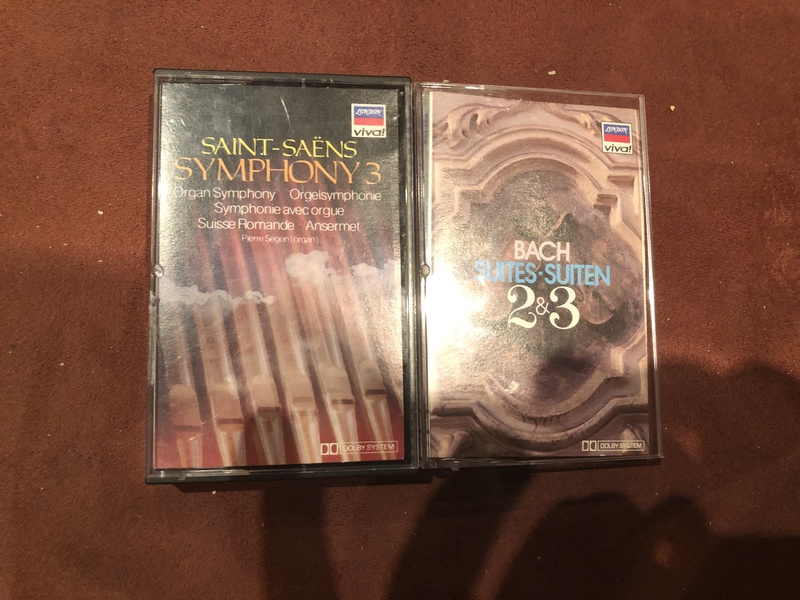 The first release featuring Bach’s second and third suites for orchestra stands out for the virtuosity of the first chairs in display as well as for its “old school, big sound” which contrasts with the HIP approach we have come to embrace for this sort of music. The recording was originally released in 1962 and re-issued (and remastered) several times. The second release, from the same year, feeds our Lenten organ series. Ansermet’s performance of Saint-Saëns’ Organ Symphony with the late great Swiss organist Pierre Segond, along with that of Charles Munch in Boston from 1959 probably represent the best the industry had to offer in these early days of Stereo. Built between 1891 and 1894, Geneva’s Victoria Hall possessed an organ of considerable size, which was ingaugurated by the famous organist and composer, Charles-Marie Widor. This first instrument, built by Th. Kuhn (Zürich) was transformed in 1930 by the Tschanun company. In 1949, a new instrument of 82 stops was installed. Rudolf Ziegler and the Manufacture des Grandes Orgues de Genève SA were resposible for its building. The effort was completed in 1963 and refurbished in 1982; this is the instrument featured in today’s recording. This organ played an important part in the musical life until September 16th 1984; that night a fire devastated the interior of the hall. The entire organ simply melted and collapsed. In order to replace the destroyed organ, a commission of experts, namely Pierre Segond, François Delor, Louis Robilliard, Jean-François Vaucher, Lionel Rogg and organ builder George Lhôte, was constituted. Ultimately, the Dutch organ builder Van den Heuvel was chosen to provide a brand new organ built in the so called 'Cavaillé-Coll' tradition. Symphony No. 3 In C Minor, Op. 78 "avec orgue"
All times are GMT +1. The current date and time is Apr-25-2019 09:08.